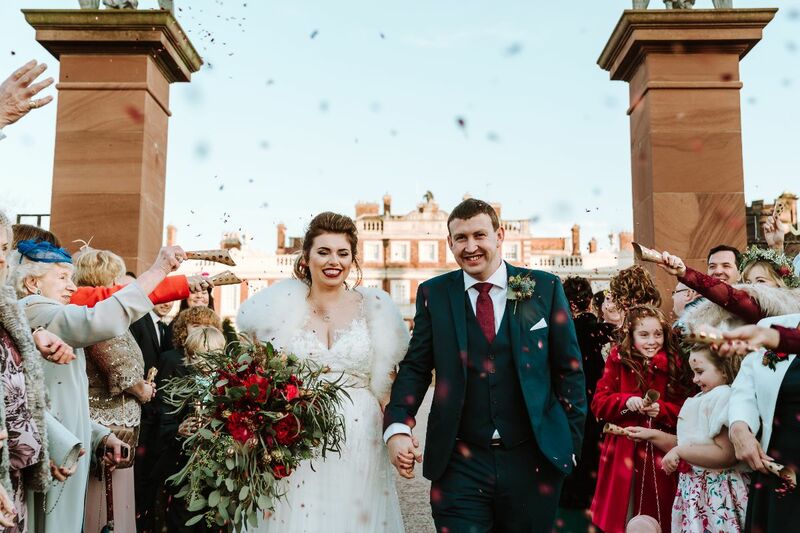 This month our featured 'Real Wedding' is Amy and Kenny who got married at the magnificent Knowsley Hall in late December. We made Amy's unique large shower bouquet with luxury dark red David Austin roses, eryngium, berries, scabious seed heads, burgundy amaranthus, deep burgundy carnations, feathers and lots of different types of eucalyptus. The bridesmaids had similar smaller wild bouquets and eucalyptus head-dresses, which looked stunning against their burgundy red dresses. 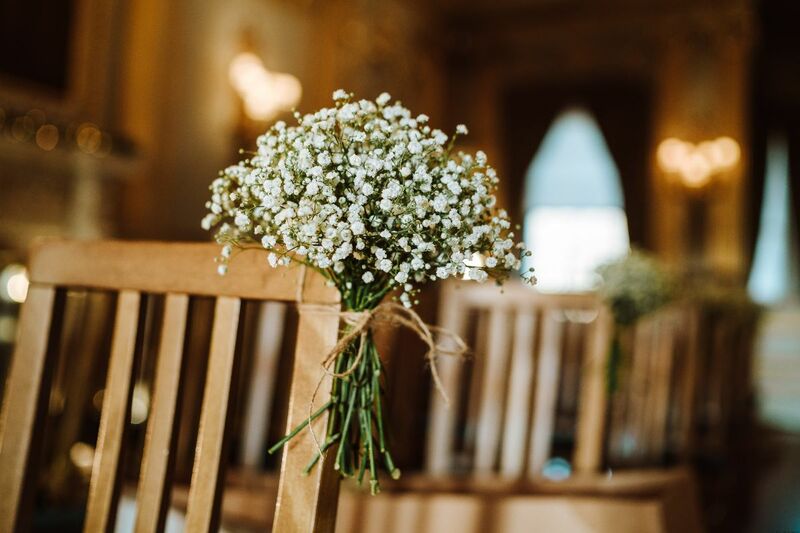 Amy walked down the aisle in a room filled with character and flowers to complement, including gypsophila pew ends, floating candles and gypsophila vases and eucalyptus lining the aisle. 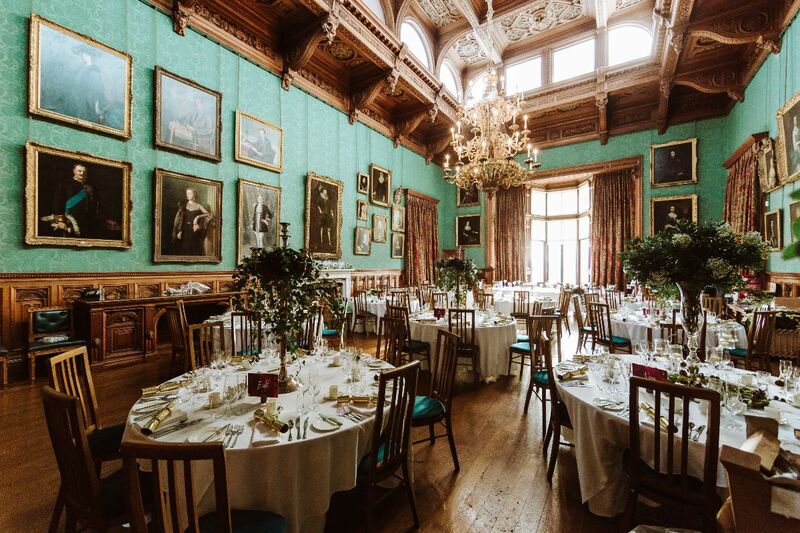 We also decorated the breathtaking room where the Wedding Breakfast was held. In particular the Top Table had an amazing trailing ivy and burgundy garland and the other tables had a mix of candelabras and mini trees containing gypsophila and hanging candles. 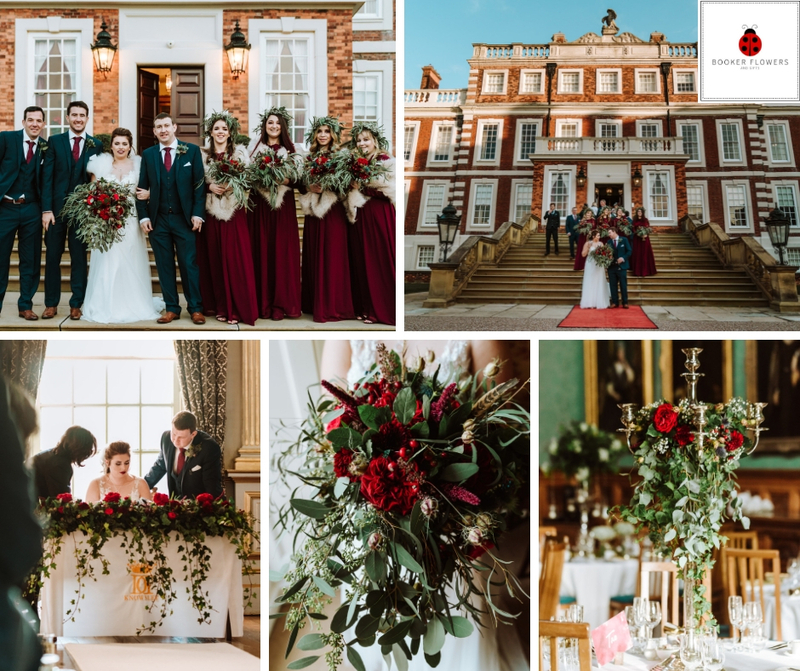 The venue, dark red colour scheme and amazing flowers made this a truly beautiful Wedding and we were so honoured to have created all the Wedding flowers to help make their dreams come true. To see more photos of Amy and Kenny's beautiful December Wedding Flowers, including professional photos from the very talented Andrew Keher Photography, check out our Wedding Flowers Gallery. 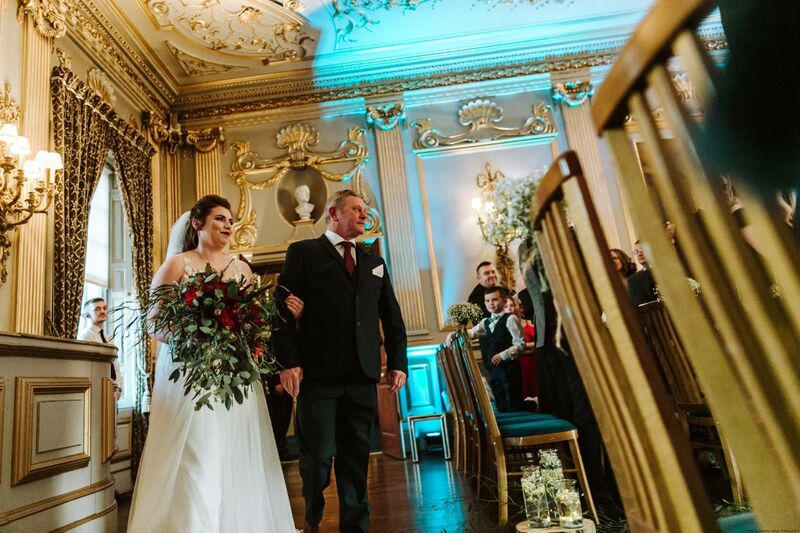 All the pictures on our website are from real Weddings, so if you want some further inspiration or would like to read our Bride's testimonials (like Amy's below) then check out our Liverpool Wedding Florists website.